A New Year means that certain items in your life may require attention. 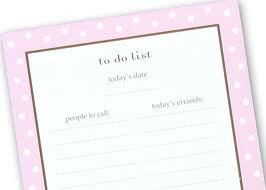 We’ve put together a list of the most common tasks to complete or review as soon as possible. 1) Prescriptions: Review prescriptions and toss any that have expired. Make note of the ones that are in need of refill and contact your doctor to process the order before it becomes urgent. 2) Documents: Take a look at your passport, driver’s license and any other documents that expire to determine if they require a renewal in 2013. 3) Annual Appointments: Schedule annual appointments for doctors, dentists, optometrists, and accountants. 4) Smoke & Carbon Monoxide Detectors: Change the batteries on the detectors and mark on the calendar when the next change will occur. 5) Pantry & Fridge Contents: Review the food in your pantry and fridge for expired goods. Purge anything that’s expired and make note of the items that have upcoming expirations so that you can use them soon. 6) Filters: Change the filters in your HVAC unit and mark on your calendar the next swap out date. 7) Credit Report: Get a free annual copy of your credit report and review the past year’s changes. 8) Policies: Review any policies that may require updates or renewal in the new year, such as insurance and product warranties.